We offer a variety of printing solutions in an array of colours – Perfect for a vibrant finish! With years of experience we are able to share with customers our knowledge of not only how a garment will look but also how it will wash and wear. We want to make sure you make the right choice. We aim to be your ‘One Stop Shop’ for all your promotional and uniform needs. We offer almost everything you could ever need from head to toe, as well as USB memory sticks and pens. We keep all designs on file, this way you can use the same embroidery or print for all your repeat orders. With over 80 brands at our finger tips along with our knowledge, finding the right products to suit you is our speciality.  Established in 1980, P&M Custom Clothing is a premium clothing and promotional gift supplier based in St Ives, Cambridgeshire. We are proud of our long-standing reputation in design quality and customer service. We offer classic and modern clothing solutions for corporate, trade and more, as well as promotional gifts - all of which can be personalised! Come and see our showroom, which is open from 8am – 5pm, Monday to Friday. The showroom is kitted out with products and garments we recommend and believe in. We embroider and print your garments on site and can advise on logo designs, sizing and placement. With over 35 years of shared experience, we can help you make your first impression count.